Bennett Brinson Gamel: Fighting Cystic Fibrosis: Vitals and Paperwork Completed! We are here. 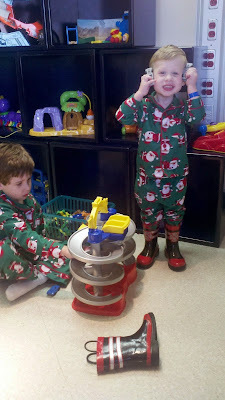 Boys are wearing their matching Santa pajamas and fireman boots. We have signed paperwork and taken vitals. We are waiting to talk with the Anesthesiologist.